If you need an emergency dentist appointment in Horsham or the surrounding areas, please do not hesitate to contact us as soon as possible on 01403 259717. Our emergency patient rates are from £56.00 and we will do our best to relieve your tooth pain as quickly as possible. We are located on North Heath Lane, Horsham. Click here for directions. 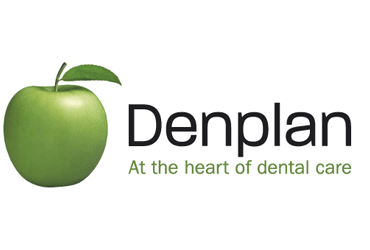 Dental Healthcare Practice is a small, friendly and experienced team of dentists who believe in creating a relaxed environment throughout our practice, ensuring you can feel at ease during your dental appointment and in an emergency. In your appointment, our experienced dentists will listen to you to find out about the problem, examine the problem area and provide treatment within the appointment, where possible. It may be necessary to carry out a temporary treatment, to reduce your pain, and arrange a follow-up appointment for a more permanent solution. If you are in pain or discomfort and need an emergency dentist in Horsham, at the Dental Healthcare Practice we always endeavour to see you on the same day. We reserve a number of appointments each day for seeing patients with dental emergencies and we advise you to call us soon as possible to arrange your appointment. You can contact us on 01403 259717 where one of our friendly receptionists will be able to assist you and arrange an appointment for as soon as possible. If you need an emergency dentist appointment in Sussex, please do not hesitate to contact us as soon as possible on 01403 259717. We hold back a number of appointments each day for dental emergencies and aim to see all emergency patients on the same day.